I’m sorry I missed a couple of days of posting again. I made the mistake of thinking there were already posts in the queue for the weekend…and I didn’t double-check as I was extra-busy all day Saturday and was then a bit under the weather on Sunday (nothing serious, just worn out). 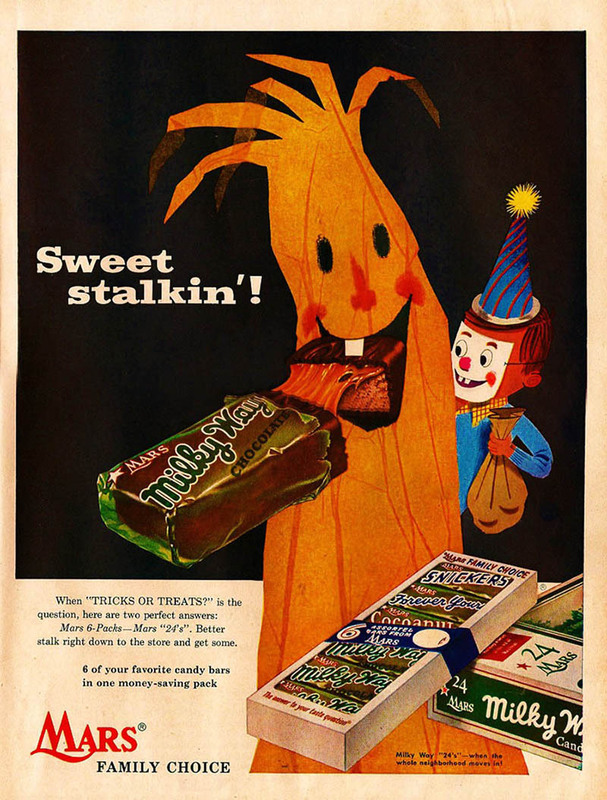 Posted in 1950s, Food, Retro/VintageTagged advertising, Americana, candy, confection, Halloween, holiday, illustrationBookmark the permalink.